We’re excited to announce that our Dellrose community pool and splash pad will be open as of this Memorial Day weekend. 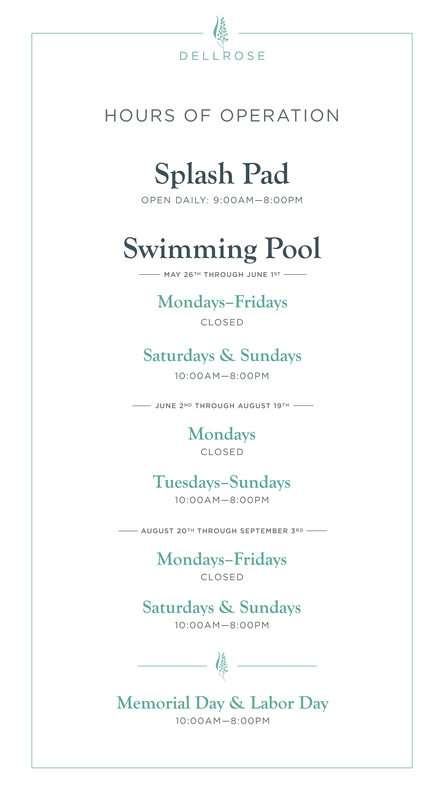 Please note the hours of operation outlined below for the remainder of the summer. Residents will not need access cards this weekend, but please be on the lookout for your cards in the mail in the coming weeks. Wishing you and your family a splashing time this long weekend! Don’t forget to share your photos with us #DellroseLiving.